No one wants to lose a tooth. Fortunately, when it comes to replacing lost teeth, you have options. The dental implant – which anchors a false tooth on a synthetic “root” that’s been implanted into the jawbone – is quickly becoming the most popular choice for replacing missing or extracted teeth. For one, they’re most like natural teeth, both in terms of function and aesthetics. But there are other good reasons, as well. Implants osseointegrate (bond) with your existing jaw bone and put an end to bone loss. Implants support your teeth firmly and safely. Above all, implants have a proven scientific basis. While first generation implants were made exclusively from metal – usually titanium – we prefer the newer generation zirconium implants from Z-System. These ceramic implants are broadly biocompatible and just as strong and durable as metal. They’re certainly more attractive, blending well at the gum line, with no gray showing through. 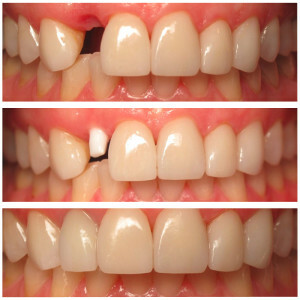 Although there are some cases in which titanium implants are needed, we do our best to place zirconium only. Metal or ceramic, the end results look – and work – just like your natural teeth. To find out if implants are a good option for you, contact our office today.